Realms Uncharted ($4.22) Price History from major stores - Rise of the Eldrazi - MTGPrice.com Values for Ebay, Amazon and hobby stores! 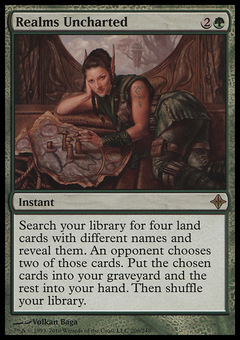 Card Text: Search your library for four land cards with different names and reveal them. 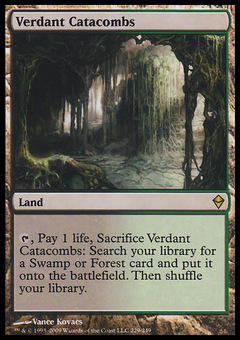 An opponent chooses two of those cards. Put the chosen cards into your graveyard and the rest into your hand. Then shuffle your library.